The Cost On These Units Can Deter Some Consumers. Hello ladies and gentlemen and welcome to another product review from RefrigerantHQ. Today we are going to be focusing on a ductless air conditioner, also known as a mini-split system. These air conditioners provide a great alternative to those of you who want something a bit nicer then a window or a portable unit but also don’t want to spend an arm and a leg on getting a traditional split system installed. 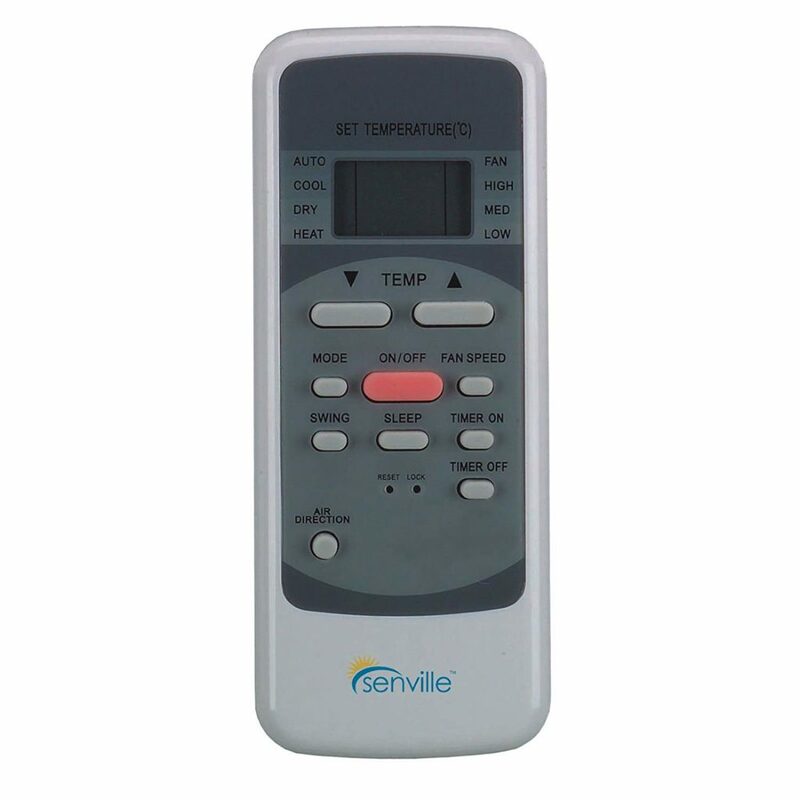 In this review we will be taking a look at the various sizes and models that are offered from Senville. Now, please be cognizant that this will be an all encompassing review and that we will be covering different models all from Seville. (The only real difference between these models is their size, so not much is going to change between each unit.) At the end of this article we’ll do a quick breakdown for you of each model number and what they have to offer. First thing’s first, before we look at all of the details of this product and what it has to offer I want to make sure that you understand what all goes into a ductless air conditioner. They can be a great solution for your home or office, but they can also be a huge headache when it comes to installing. Let’s take a moment here and dive in to what you should consider before purchasing. The first point that I’m going to mention, and probably the most important, is what sized unit that you need. You may have noticed by now that when looking for an air conditioner that they all come with a BTU number. BTUs, also known as British Thermal Units, are a measurement of the cooling capacity of your air conditioner. The higher the number the larger the space the unit can cool. Don’t fall for the trap though that bigger is always better though. It is always best practice to find the closest fit unit for your needs. If you end up purchasing a unit that is too big for your area then you will be wasting energy and you may even end up with hot and cold spots due to dehudmification issues. On the inverse, if you purchase a unit that is too small for your area then the system will be running constantly trying to keep up and you will never get to that desired temperature. So, what size BTU unit should you get? Before you make that decision it is best to know the square footage of your room. This is a simple equation that can be done just by taking the length and width of your room and multiplying them together. Once you have that number you can begin to see the amount of BTUs that you need. The standard rule of thumb is thirty BTUS per square foot of the room. So, let’s say you have an eight-hundred square foot area you want to cool. Eight-hundred times thirty BTUs equals out to twenty-four thousand BTUs. Now the Senville ductless system comes with a variety of sizes. It is up to you to determine what the perfect size is for your needs. Your options are below and by clicking on these links you’ll be taken to the Amazon page where you can do further research. I want to mention one more thing before we get into the actual product features. Yes, yes I know, this isn’t the fun part but it is necessary so that you understand what you’re getting into before you purchase. Mini-split systems are not easy to install, especially if you are a laymen when it comes to air conditioning work. Ductless systems like these aren’t as simple as a window unit where you can mount and forget it. No, with a system like this you have to mount the interior air handler in your room, drill a two-three inch hole, route the copper refrigerant tubing/draining pipe through the hole, install and mount the condenser on the outside of your home, connect the tubing (Flaring the tube if needed), check for any possible leaks, and even after all that we’re still not done. You will need to wire the unit, setup an electrical outlet box on the outside of your home, vacuum out the pre-filled nitrogen from you system, and then input the actual refrigerant. This is a huge undertaking, especially if it’s your first time doing something like this. 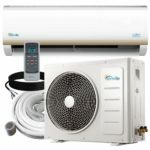 A lot of people who purchase mini-split systems like these buy online from stores like Amazon.com to save the mark-up they would see from their local HVAC contractors. Then, once they have their unit in hand they call the technician to come out and install. This is what I would advise. I would not advise you try this on your own unless you know exactly what you are doing. Otherwise, you risk damaging the unit by installing it correctly, or it could be something as simple as the tubes weren’t fitted right and the unit is leaking refrigerant. There are so many variables when it comes to this that it is best to hire an expert. Alright folks, have I bored you enough yet with all of this installation talk? Well, let’s move on to the fun stuff now. Let’s take a look at the actual product features and what you will be able to do if you purchase the Senville air conditioning unit. There are a whole host of features to be aware of and I may end up missing some here and there but here is what I have found throughout my research on the product. The first, and biggest selling point to me, is that this product comes with a heat pump as well as an air conditioner. Along with that, most air conditioners that come with heat pumps do not have a matching BTU. Typically, you’ll see the heat pump attachment having a few thousand BTUs lower then the air conditioning system. That is NOT the case with this Senville brand ductless system. In fact, your heat pump BTU is right in line with the air conditioning BTU no matter what size you choose. The last two feature points that I want to make is that the unit comes with multi-directional air vents which allows you to change the direction the air is blowing and that this product comes with what’s called ‘Whisper’ technology. What this means is that the unit runs extremely quiet. Much much quieter then a standard window or portable air conditioner. This product would be great for a bedroom or other area where people are sleeping. Many of you may not care about this, but the refrigerant that this unit takes is R-410A, or Puron. 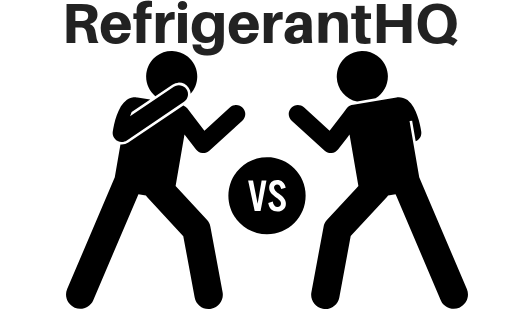 410A is now the most common used refrigerant in the United States when it comes to home or commercial air conditioners and it is readily available in case you need a recharge down the road. The refrigerant line set measures in at sixteen feet which should give you plenty of space to route the piping through your home and out to the condenser. Last thing I’m going to mention on this product is the weight. A lot of you may be expecting this to be heavy, but I want to alert you anyways. Depending on the model you purchase these units can weigh between one-hundred and fifteen pounds up to three-hundred pounds. Please be sure that you have help when you begin to setup the unit. Remember, safety first… and I’d hate for you to drop it accidentally and damage the unit. The biggest Pro we have here with these ductless systems it that it gives the homeowners an in-between alternative to a traditional split system air conditioner or a window mounted system. Along with that, it gives you a nice clean looking mounted system that blends in with your room. Many people aren’t happy with the look a window air conditioner gives a room and a ductless system will give you that second option. Lastly, ductless systems give you the option to install air conditioning in your house even if you don’t have ducts routed throughout your home. The next big point on these mini-split systems is their energy efficiency. Air conditioner efficiency is measured by two numbers. The first is known as their Energy Efficiency Ratio, or EER. The second number is known as Season Energy Efficiency Ratio, or SEER. The only difference between these two numbers is that EER looks at performance based on one solid outside temperature whereas SEER looks at the wide varying range of seasonal temperatures. The higher EER or SEER number the more efficient your system is. 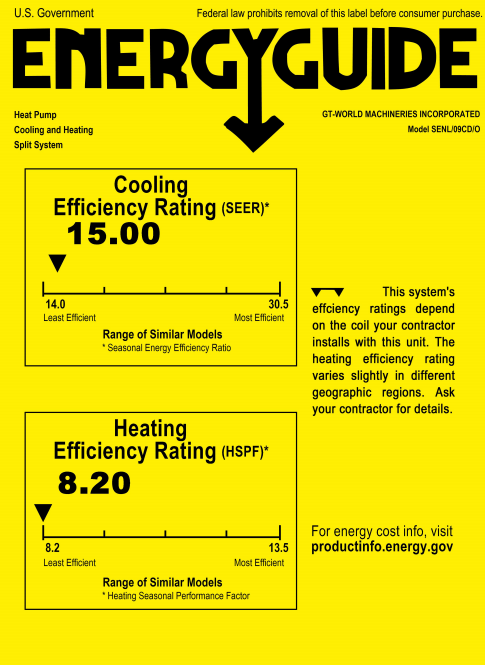 A typical window air conditioner will have an EER rating between ten to twelve. Now, the EER/SEER rating on this Senville brand is 10.0 EER and 15 SEER. That puts us right in line for the standard efficiency level that is expected with window and portable air conditioners. A quick Pro on these Senville systems is that they run VERY quiet. I mentioned this above in the product features, but I wanted to bring it up again as it’s a big deal to a lot of people. If I am going to have this product installed in my living room I am going to want as quiet as possible. Remember, you get that ‘Whisper’ technology. If you are currently using a window unit in your room then you know how distracting a noisy machine can be. Nothing to worry about with the Senville ductless unit. The last Pro that I want to bring up before we move on to the Cons is the warranty. These Senville units come with a two year limited parts warranty and a five year limited compressor warranty. Their limited warranty policy can be read about by clicking here. This next con is going to relate to instillation, but I’m going to bring it up anyways. Many users have complained that the unit was leaking refrigerant and that the unit would not cool their home. Ninety percent of the time their unit was leaking due to improper installation. If during the install you bend one of the copper refrigerant lines or you do not attach the line correctly to the air handler/condenser then you are going to have a refrigerant leak. The other ten percent of the time it may be an actual defect in the air handler or the condenser. If this is the case then the Senville warranty should cover you. The next common complaint I read about was the heat pump not working correctly. Remember earlier in our ‘Product Features,’ where we mentioned that heat pumps are only designed for warmer winter areas? Well, some people do not realize that. One reviewer said, “The unit isn’t meant for Michigan winters.” Well, yes… of course it’s not! It’s a heat pump. It’s going to work up until that forty degree mark and then it will begin to supplement it’s heat with electrical heating coils, but in very cold winters it may not be enough. Again, I would recommend purchasing an infrared fireplace. These things work great, keep your room warm, and can be put away in storage once the winter is over. When you purchase something online there is always the risk of it arriving to your home damaged. That risk increases with the bigger and heavier the package. On top of that, the risk increases even more when dealing with a machine like an air conditioner. Now, I’m not going to lie to you here. The chances of your unit arriving damaged is rare, but there is a chance folks. The good news though is that if this does happen you can always file a claim with Amazon.com and they will take care of the return process. Something that you’ll notice is that some of the ‘bad reviews,’ on this product are a direct result of the product arriving damaged to the consumer’s home. This is not Senville’ fault and frankly shouldn’t be attributed to them. Well folks, what do you think? Will you be getting a ductless unit? Or, are you going to end up going the window air conditioner route? 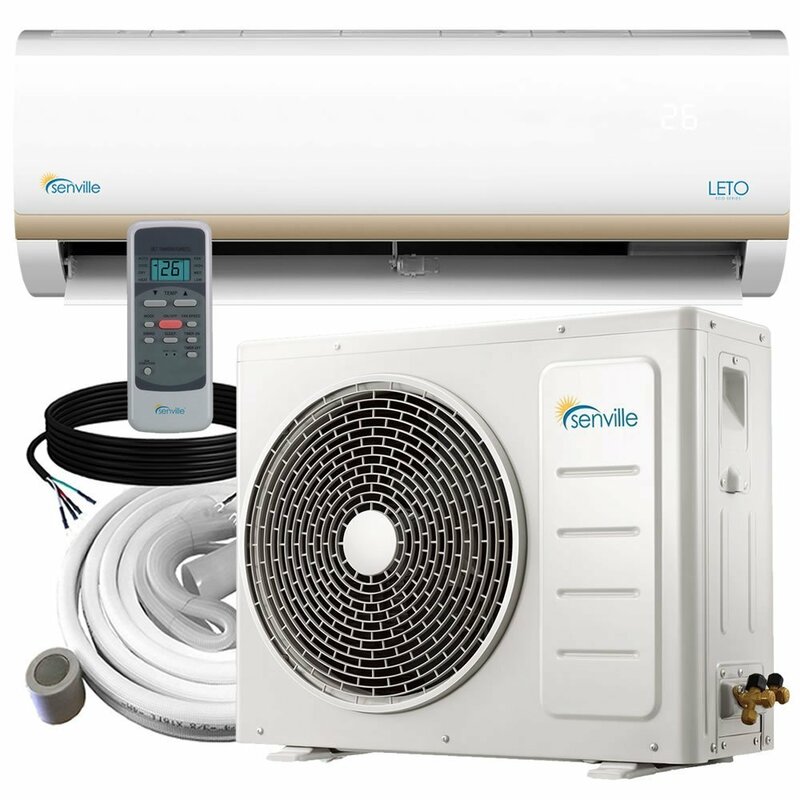 If you have decided to go the ductless route then I can honestly say that you will NOT be disappointed with the Senville brand name and the options that they have to offer. While the installation may be difficult it is worth it once you have it up and running and have a nice cool home to come home to. Again, as I mentioned earlier, this product comes in a variety of sizes. If you are interested in purchasing then I suggest you click on the appropriate size below. 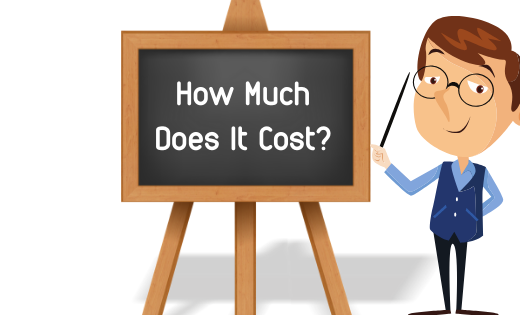 How Much Do Ductless Mini Split Air Conditioners Cost?